Are you looking for special mothers day gift? If yes please check our products. 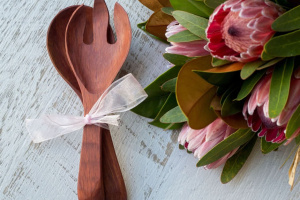 Treat Mum differently this year by gifting her one of 3Woods's high quality handmade kitchen utensils guarantee to make Mum laugh. 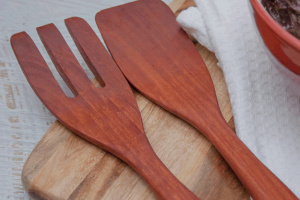 3Woods's collection of carefully designed utensils are made from 100% Australian hard-woods perfect for everyday cooking, grate addition to your cooking tools. 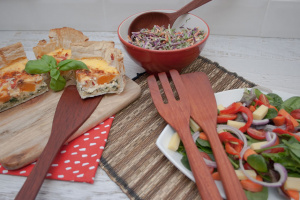 At 3woods Designs we currently stock Salad Hands, Serving spoons, Rice spoon, Salad servers and coffee scoops. 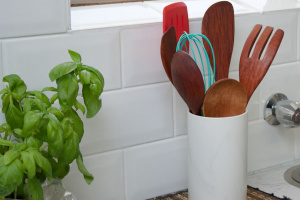 We are constantly adding new products to our collection please visit the website regularly to find out about our latest designs.